The trunk floor is composed of a polypropylene honeycomb core and glass fiber reinforced thermoplastic composite skins. A honeycomb sandwich panel with wood-flour filled PP composite (WPC) skins is an alternative solution. The laminated honeycomb panel is converted into the final part by conventional thermoforming. 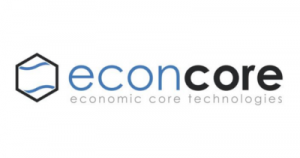 process This part is a result of technology developed and patented by EconCore: a continuous, cost-efficient process for production of thermoplastic honeycomb sandwich panels and has been made by Renolit GOR – EconCore’s licensee.